Nintendo joined with HAL Laboratory in the early 90's to create a new Game Boy platform series aimed at younger gamers. 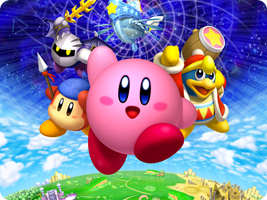 Each adventure has provided Kirby with new skills and friends that give each game a different quirk. The popularity of the series has continued, securing many spinoff titles and even an anime series.